I develop scalable and usable experiences. Check out the case studies for my latest projects, DAM and the React Security Quiz! I am a front-end web developer with a diverse skillset and a passion for crafting scalable and usable experiences. 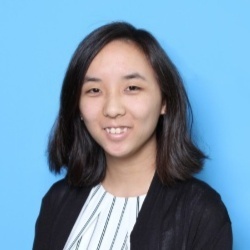 Currently, I'm a Front End Web Developer at Ai Media Group and a recent graduate of the University of Connecticut (I earned a B.A. in Digital Media and Design with a concentration in website development and design). I'm always eager to learn, work effectively in a team, and lead. In addition to being a developer, I'm also a designer, photographer, and foreign music enthusiast. crafting experiences that exceed expectations for my clients. experimenting and developing new things by stepping out of my comfort zone. capturing moments and small details through my explorations and photography. I am available for collaborations and other non-commercial website development projects! If you are in need of web development consulting, I may be able to direct you to others who can help. Please email me at emily@emilyserven.net and I'll get right back to you. Developed and Designed by Emily Serven. View this site's GitHub repository here!